The Service Obstacle System (SOS) at Rollins is an online problem resolution system designed for campus community members to identify obstacles that impede our ability to provide excellent service on campus that is Responsive, Respectful, Collaborative and Competent. It is not a complaint box for Rollins employees to report minor problems they may be experiencing. The SOS is a medium for bringing attention to issues that are larger in scope and may effect more than one person from providing excellent service. The SOS is an online form where campus members can submit obstacles that affect College-wide service issues. How does the Service Obstacle System work? Community members submit a service obstacle. An administrative committee will review submitted service obstacles and develop solutions for any issues identified. Status updates and solutions made towards resolving service obstacles will be shared and communicated. Service obstacle example: Campus visitor parking pass process—visitors have a difficult time knowing where to obtain a parking passes once they arrive on campus. Include at least one example of the obstacle and be as specific as possible. Describe the impact on the customer experience and/or your ability to provide excellent service to the customer. 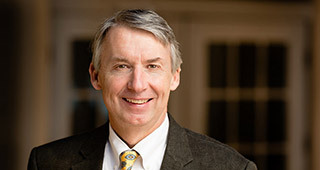 Include which department(s) might be involved in helping to resolve the obstacle. Include any recommendations for solving the issue. Let us know if any action has already been taken in an attempt to mitigate the obstacle. 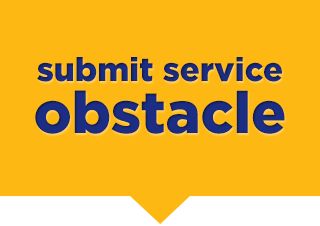 *SOS note: When submitting an obstacle, please know that your name and email will only be used to communicate progress on your service obstacle with you and not communicated to any third party without your permission.